Supported by data on store locations and findings from consumer surveys, we take a deep dive into Aldi and Lidl in the U.S. market. Aldi is America’s eighth-biggest grocery retailer by estimated 2018 revenues, according to Euromonitor International. It has grown revenues by an estimated CAGR of 12.7% over the past five years. 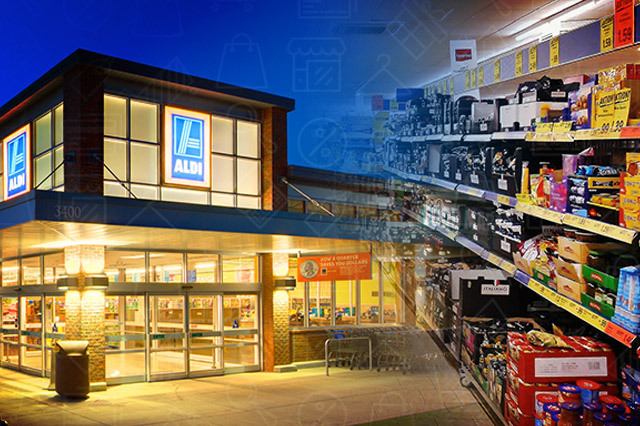 If Aldi maintained its five-year revenue CAGR and its bigger rivals did likewise with their respective average growth rates, Aldi would climb to seventh place in grocery in 2019 and sixth in 2022. Survey data shows that Aldi is the country’s second-most-shopped grocery retailer, by the number of consumers that have shopped there in the past 90 days. Almost one-quarter of U.S. consumers have shopped for groceries at Aldi in a 90-day period, rising to 40% in the Midwest. After a shaky start in the U.S. market, Lidl has diversified into a range of store formats. Lidl is continuing to open stores at a steady pace, and its recent acquisition of the 27-strong Best Market Chain suggests a renewed impetus to grow its footprint in the U.S. Given Aldi’s success, we see few reasons why Lidl should not capture meaningful share over the long term. We see discount formats and Amazon as potential twin pressures on midmarket legacy grocery retailers in the coming years.